Over the last few days I’ve found myself winding coils for construction projects. I dug out my MKARS80 kit from where it’s been sitting for the best part of a year and the next stage was fitting some trifilar wound transformers. These are made by lightly twisting together three lengths of 38swg enamelled wire and then winding them round the core five times. I then had to identify the wires by bleeping them out and solder them to the board. To say it was fiddly work would be an understatement! When I fitted the first one to the board I managed to chop one of the wires a little short so I soldered it from the top side of the plated through board. They all went in OK though and I’ve now moved onto the next step. After that I’ve been working on building an ADSL filter. I’ve mentioned in this blog that I’ve had problems with 40m and 80m causing interference to my ADSL in the past. I’d resolved this by swapping my modem and adding many ferrite rings but after my phone wire was replaced last year the problem returned and I was never able to completely cure it. Sometimes I’ll transmit 100w on 40m and it’ll be OK but other times I could run just 20w on the same band and completely kill my broadband. A couple of weeks ago I found this document by Stephen Wilson, G3VMW which contains details of how to build a custom ADSL filter to prevent RF from killing the connection. It contains two filters, one for ADSL and the other for ADSL2+. I don’t yet have ADSL2+ but I figured I’d build that one anyway. I don’t currently use 160m so this filter should work well for me. 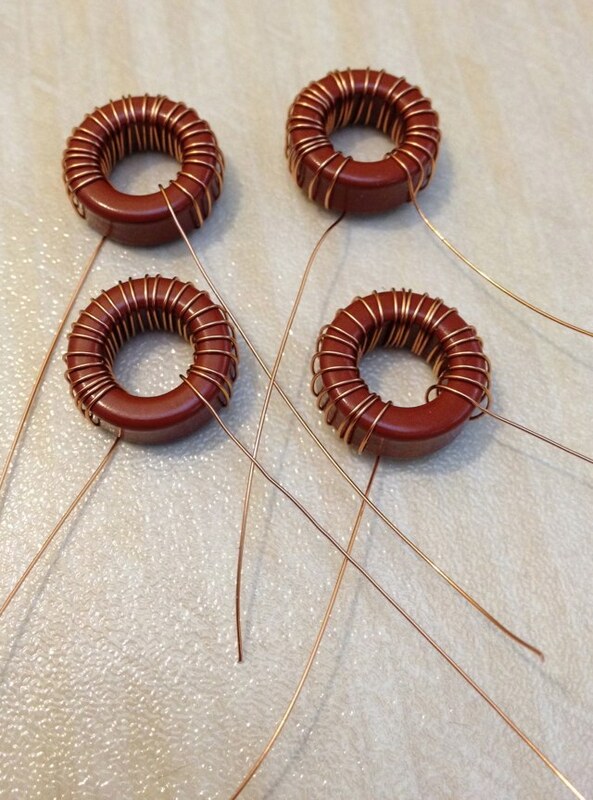 I spent a while getting the parts together and yesterday I wound the inductors. I needed four x 3.2uH inductors which are constructed by winding 25 turns of 32swg enamelled wire around T50-2 torroids. I hope to complete the ADSL filter at the weekend and I’ll post further with my report of how effective it is. Initial reports from other people who have built the same filter are promising though and I wish I’d found the design earlier. 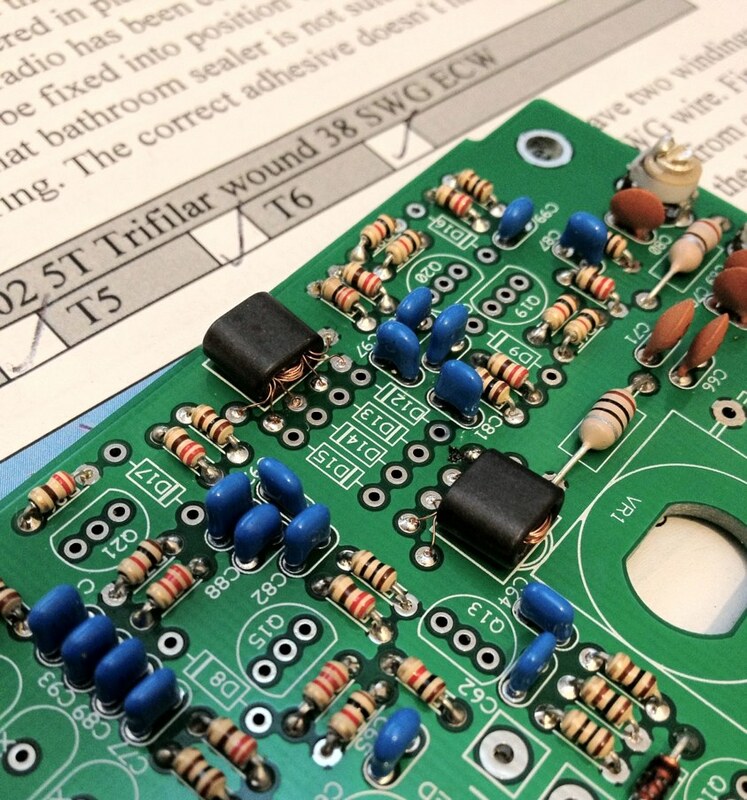 This entry was posted in Amateur radio, Construction. Bookmark the permalink.